Are you experiencing foundation issues? 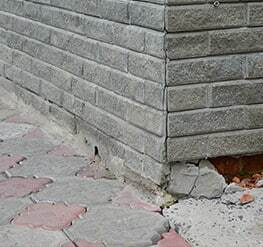 Sagging floors, cracked mortar, and bowing walls can all mean your home or business is having foundation issues. Our team of expert technicians at United Structural Systems Ltd., Inc in Cross Lanes, West Virginia is trained to provide the highest level of service for foundation repair, wall realignment, and waterproofing. We take pride in having experienced and professional installers who are dedicated to our customers. We make sure our clients know what is happening at every stage of each project and even provide financing options. Trust our team of foundation repair experts to take care of you. United Structural Systems is a family-owned business and we pride ourselves on our service, appearance, professionalism and a team that can solve your unique foundation issues. Over the years, foundation repair and waterproofing processes have changed, which is why we have committed ourselves to stay up-to-date, to provide our customers with the best services possible. We understand that our foundation repair and waterproofing services are the initial reasons our customers reach out to us, but our customer services are why they keep coming back. We have service areas in Cincinnati, Charleston, Lexington, and Cross Lanes! If you are in Cross Lanes, West Virginia and find yourself needing foundation repair services, consider our certified and expert team at United Structural Systems. For more information or to schedule a free estimate, contact us at 304-254-6334.